At the April 15, 2019, Fort Vancouver Regional Library Board Meeting, Executive Director Amelia Shelley announced that we now have land for the new Washougal Library. A generous donation from Washougal residents Wes and Diane Hickey have given the library an 18,000 square foot lot right in the heart of downtown Washougal. The lot is located at 1625 Main Street. With a destination now in mind, our fundraising efforts will accelerate as we raise money for the building. Join us in creating a new library! We now have the option to donate to our library fund. Click on the button to the left and be redirected to the Fort Vancouver Regional Library Foundation Website. Click on Give Now. 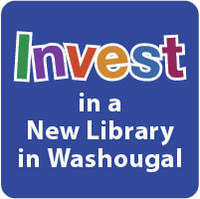 Make sure to put Washougal Library Building Fund into the special instructions section. Help us build a new library!